Marketers have long been capitalizing on our fear of germs to make a buck, but it turns out you’re far better off not using those products, many of which contain chemicals that were banned by the FDA this week. Step into any grocery store and you’ll see shelves upon shelves of antibacterial soaps. Dishwashing liquid, hand soaps, wipes, and gels with this distinction have become extremely common in the United States, with many people using these products several times a day. Marketers have long been capitalizing on our fear of germs to make a buck, but it turns out you’re far better off not using those products, many of which contain chemicals that were banned by the FDA this week. The FDA says that the risks outweigh the benefits and that serious harm may come from continued and prolonged use of these soaps. All in all there were 19 chemicals that the FDA said must be removed from soap products within one year. About 40 percent of all soaps on the market contain triclosan (mainly used in liquid soaps) and triclocarban (mainly used in bar/solid soaps) two of the primary chemicals the FDA has banned for human use. 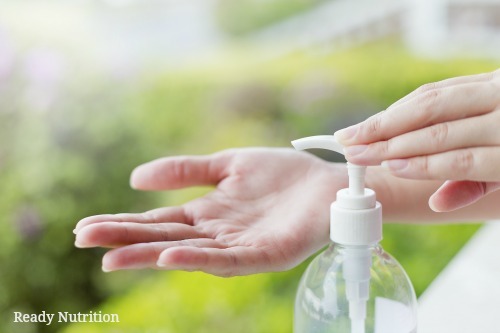 Public health experts agree that this ruling is a long time coming; for years they have expressed concern that antibacterial soaps promote drug-resistant infections and potentially cause problems in the hormonal development of children. These compounds build up in the bloodstream; they are present in breast milk and in newborn babies, as well as in dust and soil samples taken from in and around households that frequently use them. These chemicals are endocrine disruptors, meaning they can affect critical hormone functions along with brain activity, the immune system, and reproductive systems. These chemicals are so disruptive to children’s hormones that they can lead to early puberty, infertility, obesity, and even cancer. Studies also show that triclosan and triclocarban impair learning and brain development in young children, and prolonged exposure in vitro can cause major issues in fetal development. Concerns were first expressed about the use of these chemicals in 1976, but it’s taken this long for the FDA to make a move. This has consumers and health experts asking, why the delay? The antibacterial market makes a staggering billion dollars a year. The United States is particularly preoccupied with cleanliness, and millions of Americans choose antibacterial soaps over “regular” soap because they believe they will keep their families safer and healthier. But after 40 years of lawsuits and extensive scientific studies, the FDA has finally made a sensible decision about the matter. Health experts agree that using regular soap and water is safer for your family. Castille soap can be used as a base and adding essential oils like tea tree and coconut oil can give the soap anti-bacterial or anti-microbial properties without risking your safety. It will take some time for the FDA to properly take action—in the meantime, go through your house and remove any items that may contain triclosan or triclocarban. Any soap marked “anti-bacterial” should be discarded. If you’ve been a devout user of antibacterial soaps, don’t panic. Realize that up to 75% of the population already has traces of these chemicals in their system. It will take many years to eradicate and correct the damage these chemicals may have done (once antibacterial soaps get washed down the sink, they can seep into the water supply—this is a huge ongoing issue that will eventually need to be addressed on a much larger scale). In the meantime, try to change your thinking about cleanliness and understand that soap doesn’t need to be marked antibacterial to be effective. Also beware that these chemicals may also be present in products, including mouthwash, laundry detergent, fabrics and baby pacifiers. Check ingredient labels and use your best judgment. The schools use anto-bac soaps and they are nasty! The hands are not clean, kind of a sticky. Soap and water is so much nicer. But it takes longer to get the kids cleaned up before lunch. So lets poison them; it is quicker.